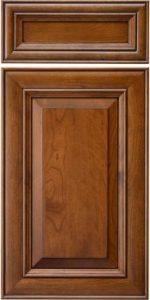 Aside from the simple raised panel CRP10 and shaker door, the CRP-10875 is our most popular door. It works perfectly with almost any décor and gathers glaze well. NOT AVAILABLE IN INSET CABINETS. 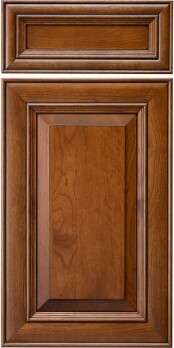 Because of the ‘pillowed’ frame on this design, hardware with a large base will not site flat to the door frame’s face. Choose hardware with a small base.